Royal Warrants have been appointed since the time of Henry VIII, who asked one Thomas Hewytt to serve the court with swans and cranes – ‘and all kinds of wildfoule.’ In 1684 Charles II appointed an Operator for the Teeth. Then in 1789 the Royal Family acquired an official Rat Catcher. 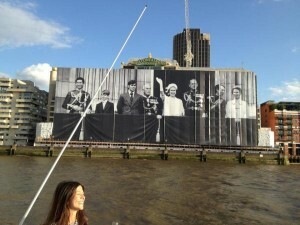 Today, Prince Charles, the Duke of Edinburgh and HM The Queen continue the tradition. Royal Warrant holders may display the relevant Royal Arms with the words ‘By Appointment’. Here are some royal favourites – which you can shop online too. Fortnum & Mason, founded in 1707, is a Piccadilly legend spread over five floors with food, a Cookshop, demonstration kitchen and…those picnic hampers. Upstairs you'[ll find perfumery, bed and bathware, presents for babies and toddlers, beauty, leathergoods, stationery, men’s accessories, luggage and gift wrapping. Oh, and five restaurants. 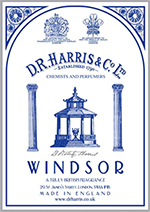 D.R.Harris & Co. Ltd is the most beautiful pharmacy in Great Britain and both the Queen and Prince Charles hold royal warrants there. The small, old-fashioned chemist is in St James’s Street, a short walk from The Ritz and Green Park London Underground Station. Harris sells soaps, colognes, bath and shaving preparations, skin care and aromatherapy oils. Most products are still made using traditional methods. Windsor, from D.R.Harris & Co. Ltd.
Bone-Handled Toothbrushes – Exactly as sold when Queen Victoria was on the throne. The handles are made of bone and the bristles are natural. Three styles of handle (including curved or straight) and hard, medium or soft bristle choices. Is this the Queen of toothbrushes? Overnight Travel Kit – D.R.Harris branded toothbrush, toothpaste, Ginger & Lemon Moisture Cream, Ginger & Lemon Face Wash, Golden Shampoo and Golden Conditioner. (Meets airline regulations). Lemon Cream Shampoo – Huge, lightweight plastic tub holds a cream shampoo (not liquid) which lasts forever on a trip and won’t spill. Arlington or Lavender Bath Salts and Pot – Brilliant present for your happy London host or hostess. Arlington Soap-on-a-Rope – Contains almond oil and is triple-milled. Seventies nostalgia in Harris packaging. Special thanks to Charlie Jones and Georgina Wood Design.